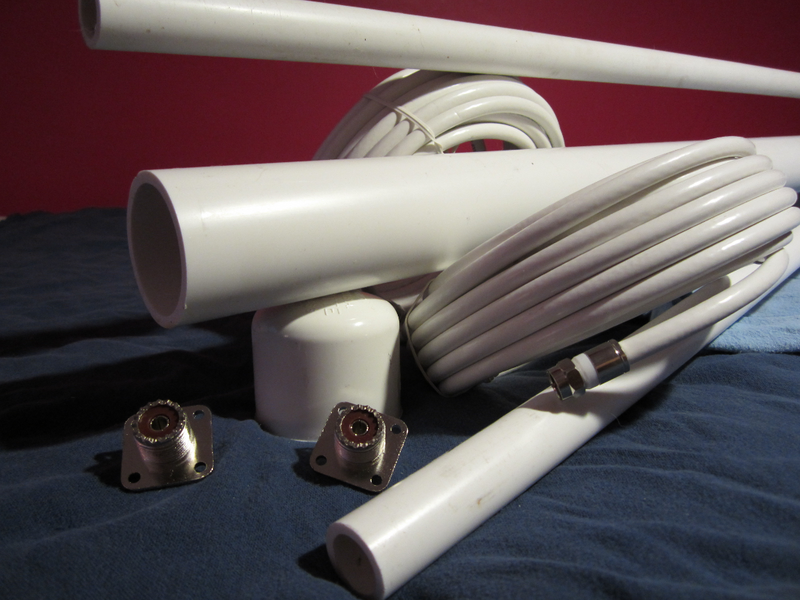 Figure 1: The pieces and parts for a QDH weather fax antenna, home-brewed with PVC pipe and coaxial cable. On a rocking boat, a satellite dish is nearly useless, unless it’s of a merchant marine variety (you can read $$$$$ here). 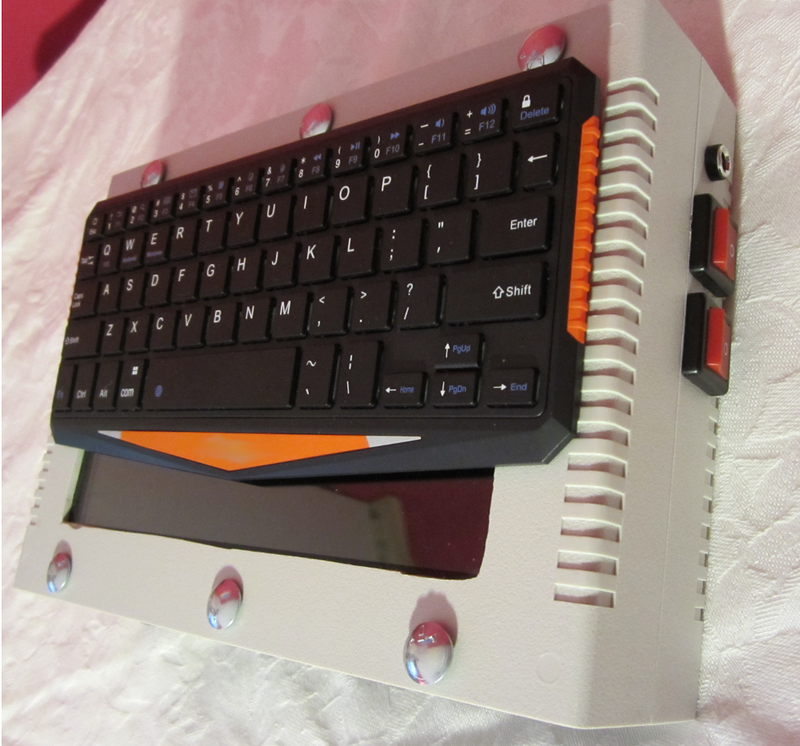 The MM version would have gimbals for three axis servo motor controlled tracking. That seems complicated in addition to expensive. The solution? The quadrifilar helical antenna, which consists of two twisted loops, one inside the other. The twist is responsible for the QDH antenna’s ability to receive circularly polarized signals well. And – the LEO (low earth orbit) satellites all have circular polarization. I have read reports from maritime QDH users, who mostly have good things to say about it. The flexible RG-6 marine grade coaxial cable is strong enough to keep a pretty good form as the loop conductor, but flexible enough to give and not break in a blow. Now, to be perfectly honest, the Vanguard (built in the eighties) isn’t absolutely discrete, in terms of components. It has a couple of very small integrated circuits, but these are thankfully commodity parts, and available as NOS. There are only a couple of them, they’re cheap, and very small to fit into my tiny little bag. 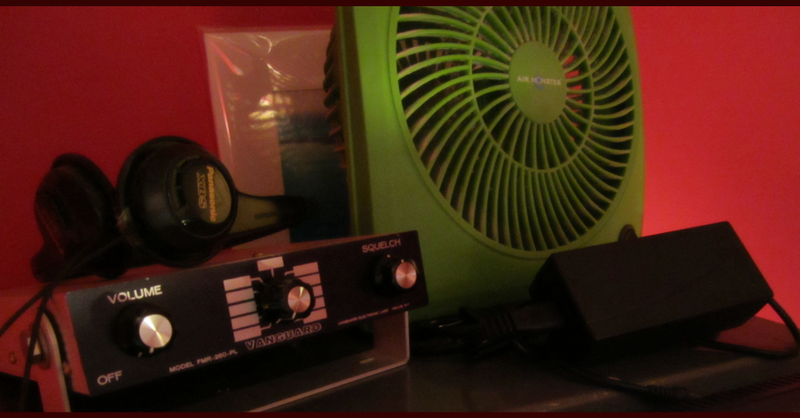 When I received the Vanguard, I plugged the newly purchased 12VDC supply into it, and turned up the volume. (It has a built-in speaker, in addition to the headphones). I expected static, since I had not yet put the QDH together, but was greeted with silence. Well – Ebay – you’ll have that, and we’ll not complain too much. But wait! There are some very old electrolytic capacitors in that Vanguard, that probably haven’t been exercised for thirty years. So, I decided to wait a couple of hours, to let it run and to let things saturate, and then see what happened, if anything. I turned the volume to about half way, and went back to Ebay to look for some more junk. A couple hours passed. I was engrossed in an auction for an old Ten Tec Triton (yes, it is, according to my plan, mostly discrete). Was it my imagination? Something seemed to be hissing. Was it the cat? Hell no, I’m a dog man (I have two, and they weigh two hundred pounds when they’re put on the scale together). What then? There was a cackle. No – not the cat or dog, they don’t cackle. Definitely a static crash, albeit a very quiet one. A low roar was forming in that little speaker, mounted with the cone directed towards the table below the Vanguard box. Stronger and stronger it became. Now it was not so much like static, but more like the ocean from a distance, slowly building as if I were walking towards it. It suddenly jumped to life. A full scale static noise blasted from the little unit, vibrating the metal stand I had put below it. I turned the volume down. Excitement ran high. I grabbed the mouse, and clicked on the menu. The WxtoImg program appeared on my screen. Quickly, I navigated to the built-in satellite schedule. Great luck – a pass was only minutes away! But, was that really great luck? What would I do for an antenna, as the QDH was still in pieces on the floor? Previously, I had put together a quarter wave vertical for 156 Mhz (marine VHF), and now I plugged that into the PL259 on the rear of the Vanguard. I tacked some additional inches onto the top of the vertical, to adjust it to 137 MHz, ad-hoc style. OK, so that does seem like a futile, time wasting, disappointment laden circumstance, doesn’t it? A quarter wave vertical is crappy to begin with, and the polarization mismatch would kill another 3db. Well, I thought I had an ace in the hole. The satellite pass predicted by the software was not going to be directly overhead, a lucky event because of the null pattern over the top of my vertical. But – the satellite was not going to be too far away either, based on the latitude and longitude readings I saw on the screen. Maybe the vertical could catch just a whisper of the satellite’s meager transmissions – just enough for my cw congestion-adjusted ears to pick up the modulation. Of course I knew that it’d never be enough for a scan.